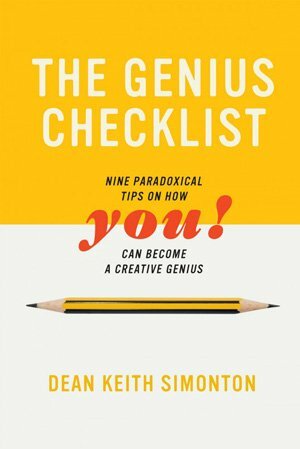 The Genius Checklist addresses the most essential questions about identifying, developing, and manifesting creative genius. Some of these questions have been examined by thinkers for centuries. These recurrent issues include: Is genius born or made? Is genius mad? Does genius just require living at the right place at the right time? How much does genius depend on pure luck? Other questions have emerged during the course of scientific research on genius. What IQ score marks someone as a genius? 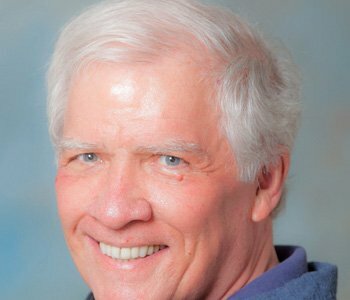 Do geniuses exhibit distinctive personality profiles? Can anybody become a genius if they just devote 10 full years to domain-specific study and practice? Or should the aspirant acquire a tremendous breadth of knowledge and skill? Were geniuses all former child prodigies, or can some become late bloomers? Are firstborn children more likely to become geniuses than their laterborn siblings? What role is played by gender, ethnicity, or socioeconomic class? How does creative achievement change across the life span? At what age are geniuses most likely to produce their definitive masterworks? When are they over the hill? How long do geniuses live? Do the greatest among them die young? And to what extent do scientific and artistic geniuses offer different answers to the foregoing questions? Now there’s no shortage of books that treat one or more of these questions. Yet some books are scholarly monographs that systematically review the scientific findings without sufficient concrete illustrations for the main points. Others are trade books that rely on ample anecdotes to get their points across, but often with the most minimal connection with the actual science of genius. My book negotiates an intermediate path. Although deeply grounded in the latest scientific results, abundant examples convert the abstractions into a rich narrative. In addition, rather than use the citation formats favored by the scientific disciplines, everything scholarly is hidden in the endnotes; not a single stuffy superscript to be found anywhere. Better yet, to render the science more accessible, I’ve tried to incorporate tongue-in-cheek humor throughout. This humor is most immediately apparent in the book’s title, subtitle, and chapter titles (aka “tips”). In fact, if it’s not obvious from the dust jacket, let me just say it out loud: This book is something of a parody of the all too numerous self-help pieces that fill up the online and brick bookstores. One warning, though. Some books are designed for dipping. Readers can open up the volume at any page and find something of interest; that author’s presentation thus consists of relatively isolated tidbits. That practice won’t work for a book like mine, where the material is organized in a logical order. Sections build upon earlier sections, and even upon sections that appeared in previous chapters. The upside of this integration is a more coherent understanding of creative genius. That benefit justifies the regimen.